Resembling a giant wind-up toy set for an energetic race at high noon, the Louisville Clock or Derby Clock designed by local sculptor Barney Bright has now been painstakingly restored thanks in large part to local businessman Adam Burckle, owner of Adam Matthews, Inc. cheesecake company. Now that restoration work is winding down and the clock ready to be wound up, a site for the clock may have tentatively been found. Originally commissioned in 1970 to fill a prominent spot on the River City Mall, a pedestrian plaza on what’s now Fourth Street once hoped to revitalize Downtown Louisville, the clock was finally dedicated in December of 1976. Although widely lauded and loved by onlookers, the clock was plagued by mechanical problems and the ill-conceived pedestrian mall failed. The clock was moved to Guthrie Street when the mall was removed and later to the entrance of Kentucky Kingdom. In 1993 the clock was dismantled and distributed to various sites in the city. In 2004, Burckle’s Adam Matthews Foundation took control of the clock and moved all the pieces to Bowman Field where restoration work commenced. Years later and with the help of countless volunteers, the work on the Louisville Clock is largely finished and Burckle has been looking around for a prominent site on which to display the landmark piece of folk art. Two sites originally proposed were rejected on grounds that the clock would not fit with pre-existing master plans: the Arena and Waterfront Park. Burckle has been working with the city to find another suitable location and is currently in discussions with the Louisville Zoo to place the clock somewhere at the facility, most likely outside the front gate. While placing the Louisville Clock at the Louisville Zoo is certainly not a poor choice, I believe a much more prominent location is desirable. Adam Burckle should be the major decision maker for the location, of course, due to his efforts in restoring such an important piece of local art, but a site must be chosen very carefully after so much hard work has been poured into the clock. In my opinion, a location at the zoo could bring a good deal of exposure to the clock, but there are many issues that should be considered. First, the zoo is largely a destination spot in a not-so-walkable part of Louisville. Why not find a spot where someone could turn a corner stumble carelessly upon the delightful clock in addition to those who intentionally seek it out? A place would be desirable if many people from all walks of life and all age groups could view it on a regular basis, not just on trips to the zoo. If located outside the zoo’s gates, it would allow people to visit the clock without paying zoo admission, but wouldn’t be part of the majority of time spent by visitors inside the zoo. In addition, it seems unlikely that one would stop by during the zoo’s non-operational hours, and certainly not late at night. In a purely selfish argument, I personally might visit the zoo once or more times a year, but would find it hard to justify stopping by just to take a look at the clock, especially when its signature races are time specific. I’m not sure if the site has been considered, but I propose returning the Louisville Clock to Downtown near the site of its inception. Actually, in a place the clock once called home: the Guthrie Green. 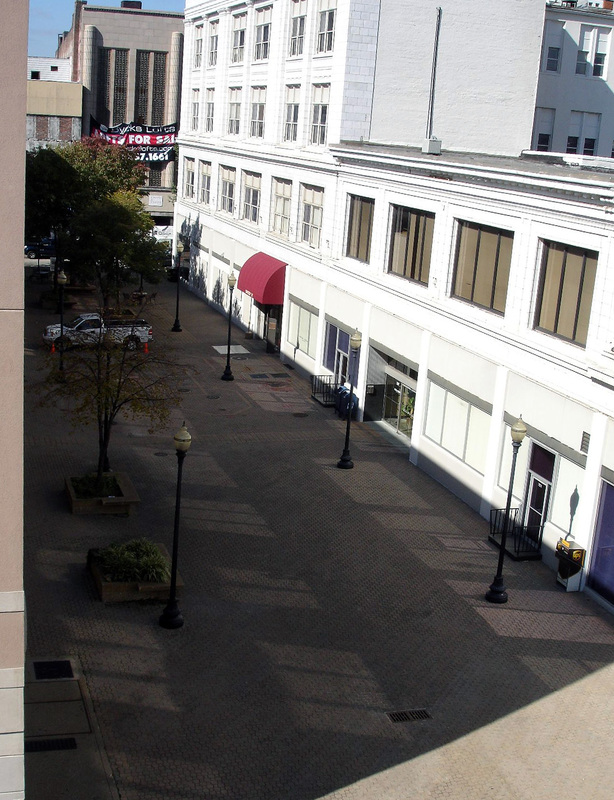 Not only would the location be in a prominent public space on one of Louisville’s most important streets, the clock could help unite development that’s been ongoing on Fourth Street from 4st Street Live to Broadway. 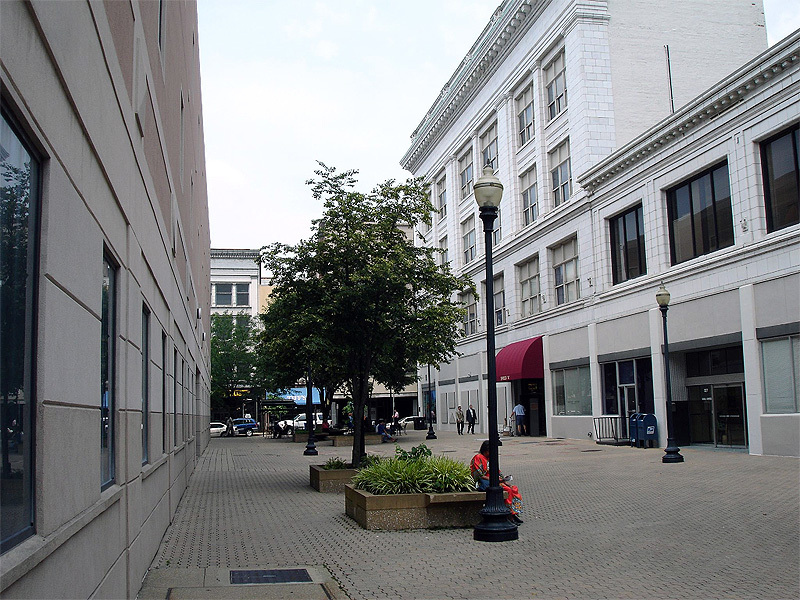 This location is certainly walkable, often quite lively, and accessible at all hours. The currently uninspiring Guthrie Green could certainly benefit from a whimsical touch of folk art that would encourage gathering. Such a location as the Guthrie Green is laden with symbolism. The sculpture was originally commissioned as a rejuvenating force for Downtown. The River City Mall and the Louisville Clock suffered along with Downtown through the 1970s and 1980s, but now that Louisville is turning an important corner and appears be well on its way back, placing the clock on the Green would be a symbol to which the city could easily point. It would say, in a way, that the last 30 years on Fourth Street counted for something more than the memories of the defunct pedestrian street and Galleria. This is just my proposal for a site that would appropriately honor the Louisville Clock and everything it means to the city. Whichever location is eventually chosen can still be considered a win since the clock will be up and running and available to see. For that, we all owe a great debt to Adam Burckle and all the volunteers who have worked to restore the clock. Do you spend much time Downtown during the day – particularly Guthrie Green? If you do, do you have any change left…or did you give it all to the half a dozen homeless people who are permanent residents there? 4th Street is not a walkable location. That ship has sailed. During the day it’s a utilitarian street where smokers on break hurrying to the food court pass homeless people with nowhere to go. At night, you REALLY don’t want to be in that part of 4th Street. The clock will fascinate the legions of kids that visit the Zoo. It’s the perfect location for it. Imagine, your description of this area of Fourth St. would have been accurate a couple years ago. With a concerted effort by LMPD and the new residents in the area, the panhandling has been GREATLY reduced. Fourth St. is unwalkable? 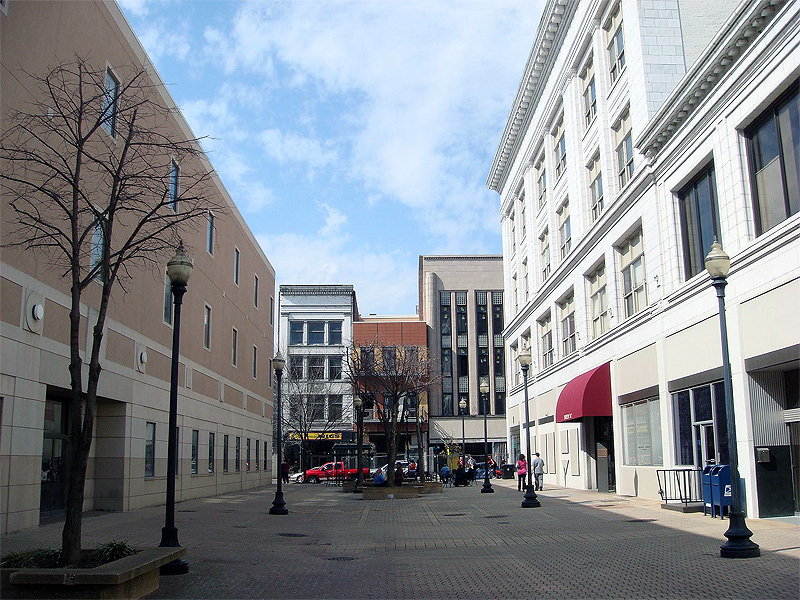 This section of Fourth St. has the highest foot traffic count corner in the state of Kentucky (Fourth and Ali)! And this section of Fourth St. does have MANY walkers at night, mostly going from parking to Fourth ST. Live, the new restaurant row around Theater Sq., a show at the Louisville Palace, a wedding at the Seelbach, etc. Guthrie Green would be ideal for the Clock however it has been discussed for many years reopening Guthrie St. I agree the Clock should be downtown. The zoo location is a makeshift decision so that the administration could say that it actually didn’t squander this piece of public art for decades…pitiful. I would have to agree that though the zoo would not be the worst place the clock could be displayed, it would definitely have a limited exposure. Downtown could certainly use more a-ha moments where turning the next corner could offer something unexpected. Imagine has a point about Guthrie Green being a fairly unfriendly place, but it is not because of the homeless people, it is because of the design of the location. Working right around the corner from this eyesore, I have wondered many times why the city would bother to have a pedestrian mall if there is nothing of interest there. The south wall is the worst offender, it belongs somewhere off of Hurstbourne Lane. The north wall at least has doors and if you look above the first storey, there is actually a pretty interesting building there. I think the clock would be great in this area, but I think that a masterplan needs to be developed for Guthrie Green before it is placed there. There are definite moves to redevelop 4th street between Live and Broadway, but because so many people have written off this area it is taking longer to bring back to life. Anyone up for a design charrette focused on Guthrie Green? I propose putting it in a rebuilt Kenton Place. A lost and restored landmark placed in a lost and rebuilt Olmsted Park, in a up and coming art intense area of Louisville. Guthrie Green, and the whole 500 block, is in definite need of attention from development officials. The mantra that Fourth St Live would lead to further development has had a very limited impact and hopefully the next administration will be keen to address. And btw, that monolith of synthetic stucco that dominates the southeast side of the 500 block is owned by Jewish Hospital who steadfastly refuses to do anything with the many many large spaces that are empty. The Zoo is perfect! It could be a symbol just like the amazing clock that sits in front of the Central Park Zoo in NYC. I think placing the clock at the Zoo is a reasonable idea, but it comes across as kind of, shuffling the clock off to the side. It’s a shame it can go onto the Belvedere or anywhere in Waterfront Park. I like the idea of Guthrie Green but I agree with the first post here that it GG would need to be significantly cleaned up. With that cleaning, the clock might actually spur some activity in that block of 4th. I’ve worked and socialized for years in downtown Louisville, and Guthrie Green is one of the LAST places you’d find me. 4th & Ali, probably… 4th & Jefferson, sure… but I’ve NEVER walked down Guthrie Green in my 40 years in this city. Actually, anywhere north of Ali is high-traffic, high-visibility. Lots of convention goers, business lunchers, 4ht-Street-Live goers, etc (between their hotel and FSTL). There’s absolutely nothing at Guthrie Green, but the regular homeless. 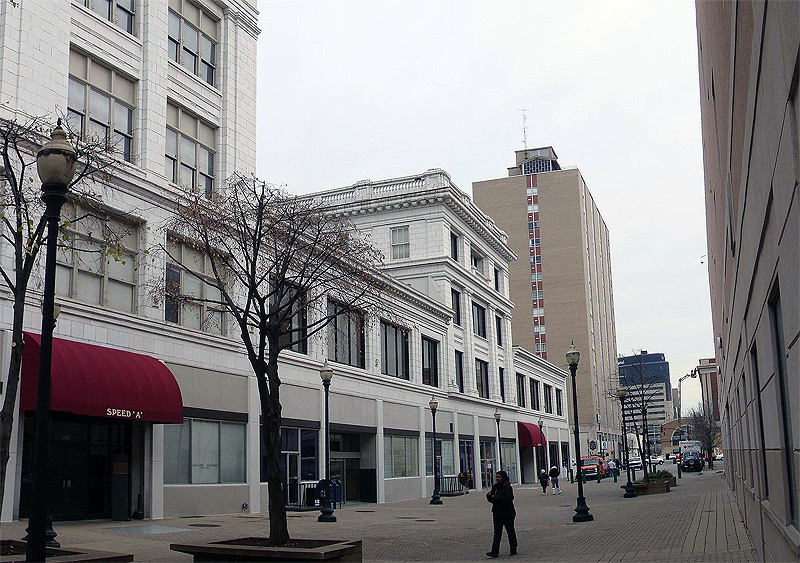 From the Seelbach to Theatre Square is a virtual no-man’s land with regards to points of interest or “stop-ability.” I don’t understand why it couldn’t be placed somewhere in Waterfront Park. Lots of regular events, and even large numbers of people at other times. I would love to see the clock again, and would make a special trip to see it even though I’m not a supporter of the zoo. However, my opinion is that it would be best served if located at Churchill Downs since the clock portrays a horse race and is often referred to as The Derby Clock. Not that Central Avenue is any better of a locale for walking, but Churchill Downs is a area with high traffic where locals and many tourists would enjoy it. churchill is already a people place that functions well, as is the zoo. patrick’s idea of using the clock as the catalyst for a re-thinking of guthrie green is right on! we should use/leverage the clock as part of a strategy to make things that aren’t working get a little better, not just as a curiosity. If the city could work a deal with the property owner, I think the perfect place for the clock would be in the green area directly behind the AEGON building. High visability to the people at conventions here in town. Also, it would be enjoyed by all the people who work downtown. I think that that's a tremendous suggestion, Rheumyroo. As it is immediately across from the KICC it would certainly be a big draw for tourists. Putting it at Churchill is just hiding it away, for the benefit of (only) a private company, at least the Zoo is a city entity. If they do it on Guthrie Green, I assume they would green it up. Cities with thriving downtowns spend money on beautifying pedestrian areas (See Chicago, with its beautiful plantings and nightly street cleanings in front of many businesses). I am thrilled that someone bothered to keep the parts of the clock, considering this city's muddled vision that leads us to do crazy things like selling our fountains and letters for scrap. Every time I am in an office with one of those beautiful photos of Louisville at night with the fountain, it gives me pause. The letters never saw the light of day, but public art shows that we're a thriving city, and sometimes ACTING like a thriving city is what it takes to make a thriving city. In other words: dress for the job you want, not the job you have. Great point TheLawBoy, but I am not sure Louisville knows the job it wants, in a cohesive sense. If we keep comparing ourselves to Portland, Oregon and Austin, Texas, we need to start making some really bold moves as a city. Where is the modern, hip neighborhood (could be in SoBro, NuLu is definitely making moves)? What are we really doing to attract young professionals as far as entertainment (Btown Road is a real asset, but what else)? I am not saying nothing is happening here, but we need to be making strides with bold visions even if the funding is not yet reality. Jeffersonville is planning on building a San Antonio style canal! That is bold, that is going to attract real attention (if it is executed properly). Guthrie Green is a great place to start thinking about bold moves. The clock there along with some serious thought into the vision for that entire block and south towards and beyond Broadway is what we need to take back 4th street and make it more than a conventioneers hangout. Would you consider asking any of the neighborhood associations around Louisville if they would be interested in “hosting” the clock (namely, Crescent Hill)? Given the artist nature of this wonderful clock, and the diverse cultural and artistic interests of the many neighborhoods within Louisville, I think it would be just as appreciated located elsewhere in the city. Visitors to Louisville who may be tempted to visit some of our “neighborhoods” looking for the “Derby clock” would benefit from visiting areas “outside” of downtown. This applies to our own Louisvillians as well. It’s worth considering! I agree with the green space at Aegon being ideal – high visibility. Also Guthrie Green, or the Belvedere as possibilities.